Are your recon systems providing the information you need to make sure vehicles make it to the frontline on time every time? The success of any process automation solution is highly dependent on the accuracy and reliability of the data that drives it. Systems that rely on users to make updates and keep track of assignments are prone to errors and misleading reporting. It’s hard to manage and improve processes without the right insight into the activity at each step in process. The best way to generate good data that can be used to automate the way recon process steps get monitored and updated is by using wireless sensors. The goIDit sensors allow you to accurately track and report the movement of vehicles through each recon step. 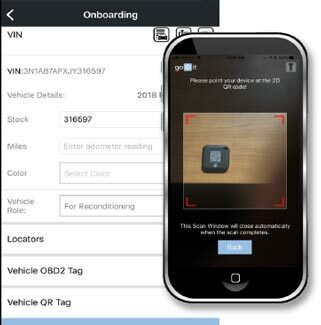 This is done by defining areas within the dealership for each step in the process, and when a sensor, which is attached to the keys, arrives at one of these areas it is assigned to that step. The wireless sensors acts as a “baton” for an effortless hand off from one step to another. The users responsible for managing each step are notified with a text or email message when a vehicle moves to their step. Timers can be configured for each step and if a vehicle stays at a step too long a notification is automatically sent so that management and staff are always aware of any delays. To provide better visibility all of the activity related to the recon process can be clearly seen from the goIDit dashboard. With better data and more visibility into the process, issues are identified and resolved sooner to make the process more efficient. Don’t waste time and money with inefficient reconditioning processes or with systems that require manual data entry. Get goIDit , go wireless, sell vehicles sooner, and take advantage of more inventory turns per year. 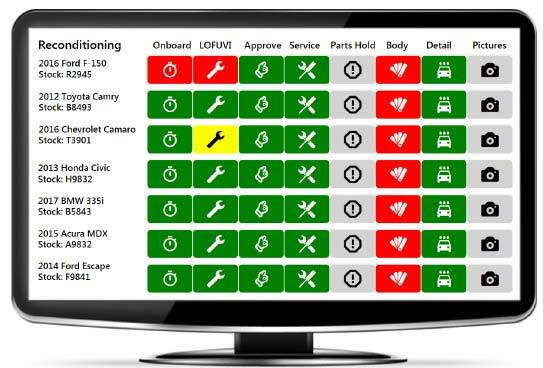 The goIDit dashboard provides you with a visual summary of vehicles in the recon process. There are 3 ways that recon stations can be configured. The ways are by using our BLE-WiFi Gateways, configuring the app as a multi-step station , or as a single step station. 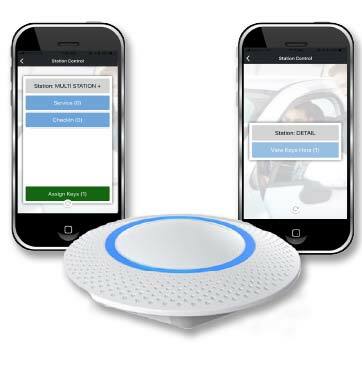 The wireless sensors are reusable and easy to onboard for new vehicles entering the recon process. 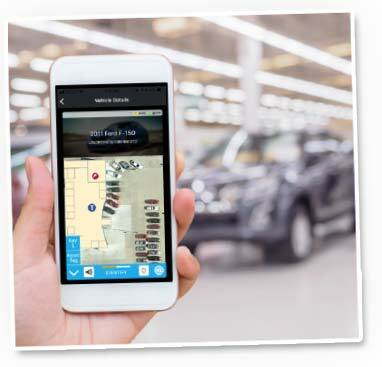 From the goIDit app a user can locate any vehicle or key that’s either in the dealership or on the lot.